Rumors were abound online ahead of Google’s presentation this afternoon from GDC 2019. Many thought it would be a console, while others were more cautiously optimistic with bets on streaming services, à la last year’s Google Stream, which gave players access to a streamable version of Assassin’s Creed: Odyssey. The truth was somewhere in the middle, and yet even more ambitious. 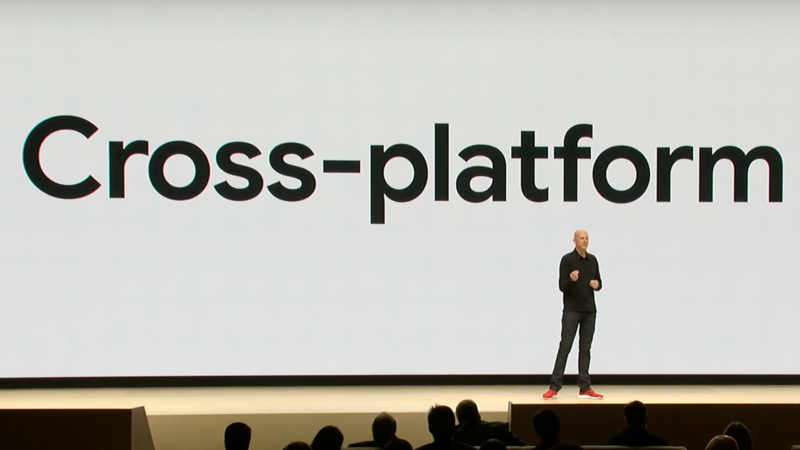 Stadia bucks the console model altogether by promising players streaming access to their game across any device running a Chrome OS or other Chrome-compatible browser software. In doing so, the tech company wants to eliminate the wait associated with downloading and updating a game, allowing players to jump immediately into playing. In a live tech demo, someone went from playing a streamed version of Assassin’s Creed: Odyssey on a Chromebook to a Pixel 3 phone with a connected controller. The gameplay immediately picked up in the exact spot, while the original device exited the session and back to the main page. He then migrated in quick succession to “the cheapest PC they could find”, according to Google Vice President Phil Harrison, to a tablet running Chrome OS to a television with a Chromecast Ultra usb dongle. Announced alongside this platform service was the only piece of hardware associated with Stadia, a controller. Images showcased a white, black and mint green color scheme to a controller boasting simple and smooth design feature. At a glance, you might mistake it for your XBox One controller. It connects not to your computer or device, but to your wifi signal, and it has two additional buttons not found on other controllers: a capture button and Google Assistant button. The first activates sharing to YouTube, simplifying the process of streaming or uploading to a single press. The other allows players to use the controller’s built-in microphone to seek help with a puzzle/encounter or search online for related content. 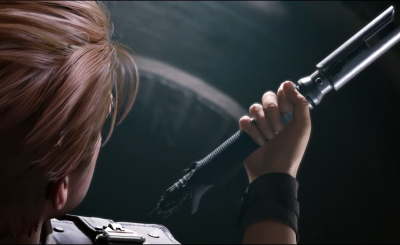 Footage showed Google Assistant providing a “top result” YouTube video timestamped to the exact moment the player was in-game. Google spoke at length about the power of data centers developed specifically for handling the Stadia’s streaming and hosting, taking the graphical and processing burden off the players. Not only that, they seemed confident Stadia could revitalize couch co-op and other forms of interconnected play not capable with current console infrastructure. All of their games will be streamable at 4k and 1080p resolution at 60+ frames per second, and Harrison further promised support for 8k resolution at 120+ fps, a concern for the tiniest and richest fraction of the population at present. As for games, we saw much of Assassin’s Creed: Odyssey, and an ID Software representative announced Doom Eternal will be available to stream at launch. While other developers and studios were name dropped during the presentation, no other games are yet confirmed. 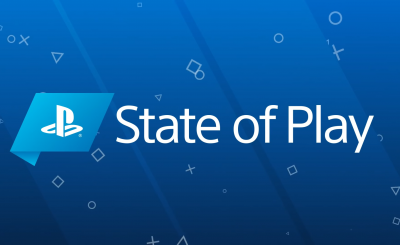 The other highly discussed features of Stadia are called Crowd Play and State Play, and provides new interconnectivity between streamers and their viewing audience. A YouTuber’s community can queue to play with them throughout the broadcast, closing that gap between audience and content creator even further. Alternatively, you can jump into your own version of the game being streamed at the exact moment and setup, allowing players access to highly specific in-game moments. Finally, Google has launched their own first party game development studio that will be developing games directly for their online platform. 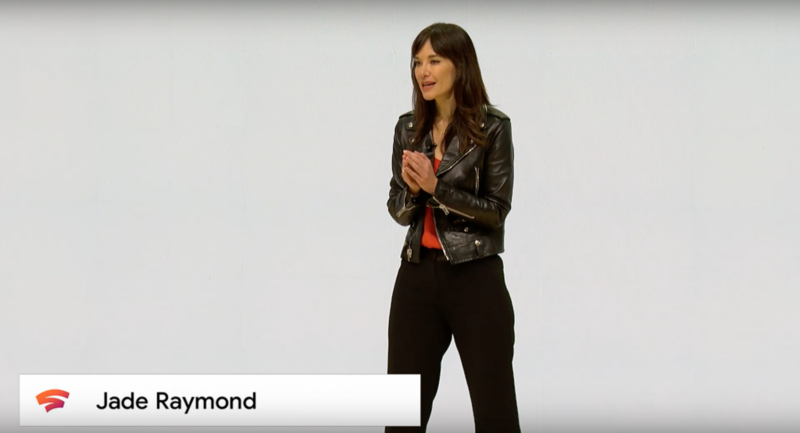 Stadia Games and Entertainment will be led by Jade Raymond, who took the stage to introduce herself and express excitement over their future projects. Not part of the announcement was any discussion about required internet speed, data allotments or other personal infrastructure. Google pulled up stakes in Louisville, Kentucky only two years after construction began on city-wide Fiber support, leaving huge swaths of people floundering for internet access and drawing widespread criticism. 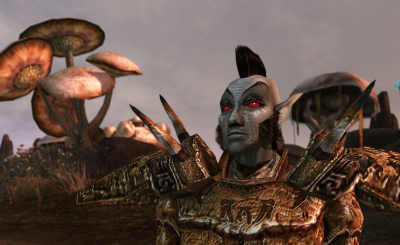 Today’s announcement at GDC was all and promises and looking forward, and while the advent of high-quality streaming without being tied to physical consoles is exciting, it remains a far-flung dream for anyone toiling under data caps, ISP-throttled connections or an utter lack of coverage. Stadia will launch sometime in 2019.